The Korea Herald is publishing a series of interviews on promising startups in the financial technology industry. This is the 13th installment. - Ed. Despite having easy access to thousands of financial products in South Korea, as one of the world’s most wired countries, consumers often find most of them irrelevant and largely fail to figure out which offers the biggest financial advantage. 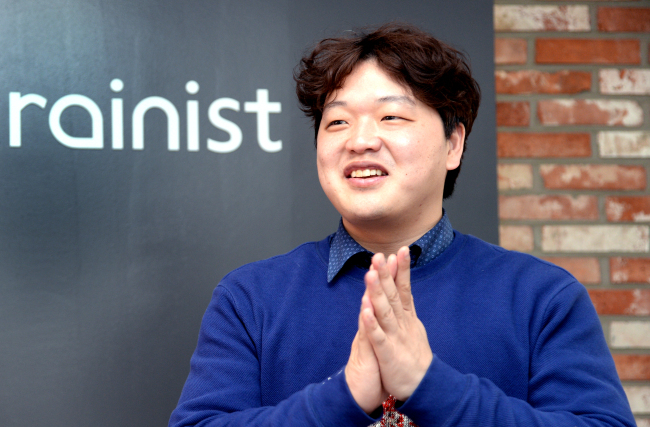 In a bid to simplify the myriad of choices, former owner of a street food vender Kim Tae-hoon co-founded financial technology startup Rainist in 2012, putting together information scattered by different financial companies. Rainist operates Banksalad, a financial service provider ranging from financial product recommendations tailored to an individual, to expenditure analysis and personal financial management, targeting retail financial consumers. The service is now being used by millions, just four years after it was launched. “Information asymmetry was severe especially among financial consumers,” Kim, who is also the chief executive officer, said in an interview with The Korea Herald. When he created Rainist, he said he manually compiled a list of financial products from each financial company. Soon, Banksalad’s database was made up of over 4,200 financial products available online for customers -- credit cards, deposits, savings, cash management accounts, loans, insurance products and pension schemes. These accounted for 84 percent of all existing products in Korea, Kim said. “I pictured a company that collects all the information because, as a student (in college), I couldn‘t understand why there was no company doing just that,” the 32-year-old said. Working 16 hours a day and teaming up with another Rainist co-founder and data analyst Park Kyu-in, they developed an analytical framework for a qualitative measurement of spending pattern for a year, adding another layer on the Banksalad database. “I was sure consumers would like it, because I knew I was dealing with what consumers found cumbersome to do themselves,” Kim said, adding such effort gave birth to Banksalad‘s flagship recommendation service in 2017. Banksalad currently has two adaptions -- a website and a mobile app. Banksalad website, launched in 2014, concentrates on recommending financial products based on a customer survey made up of dozens of questions on its website. It also lists up the top-10 products sorted by advantages. The mobile app, commercialized in June 2017, offers automatic compilation of consumers’ assets, in part through data mining techniques such as screen scraping technology. Also, mobile app users can receive consumption analyses. The website had over 1 million monthly active users as of March, while the mobile app adaption, launched last year, was downloaded more than 1 million times in the first 10 months, according to Rainist. 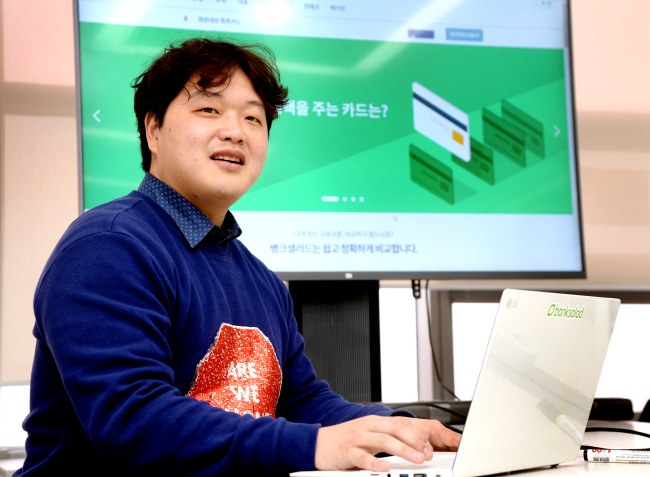 To further serve to his mission to prevent retail financial consumers from being marginalized in Korea, Kim launched an online “magazine” on Banksalad website. The online contents curated by outside contributors offer financial tips to boost consumers‘ profit and minimize cash losses in life, he said. According to Kim, the company is only at its first stage out of three to make Banksalad into a full-fledged online personal financial management service. The next goal, he said, is to develop analytical frameworks for outgoing transactions. “We haven’t yet categorized outgoing transactions into investment, deposit, asset management or spending,” said Kim. pinning hopes on the role of the startup‘s in-house data lab. Through this, Banksalad hopes to analyze a user’s risk appetite in investment, in addition to spending pattern available now. Rainist’s next steps could also involve seeking business approval as an online PFM provider in Korea. Kim hailed a decision by the Financial Services Commission in March this year to bring online PFMs into legal grounds, in a move to foster fintech startups using database.